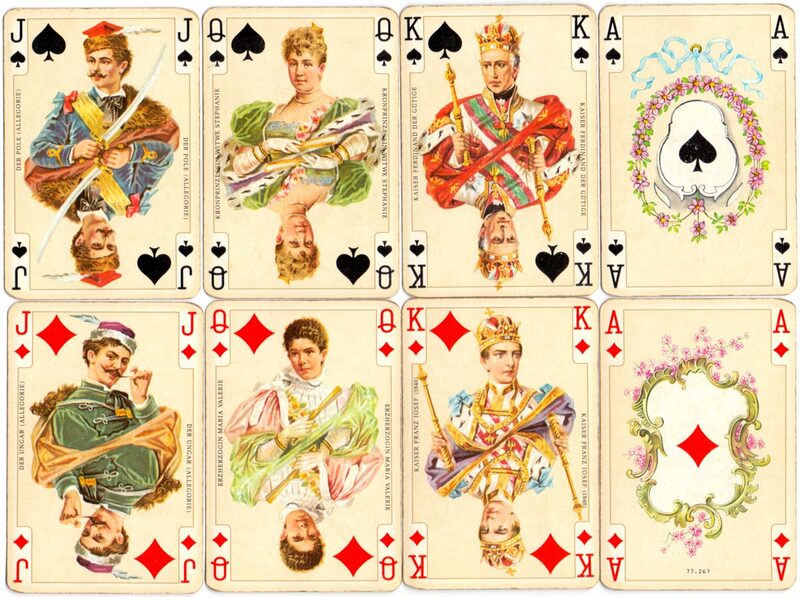 Kaiser Jubiläum Imperial playing cards made in Austria by Ferd Piatnik & Sons, Vienna, first published c.1898 but republished several times since then. This edition has English indices. 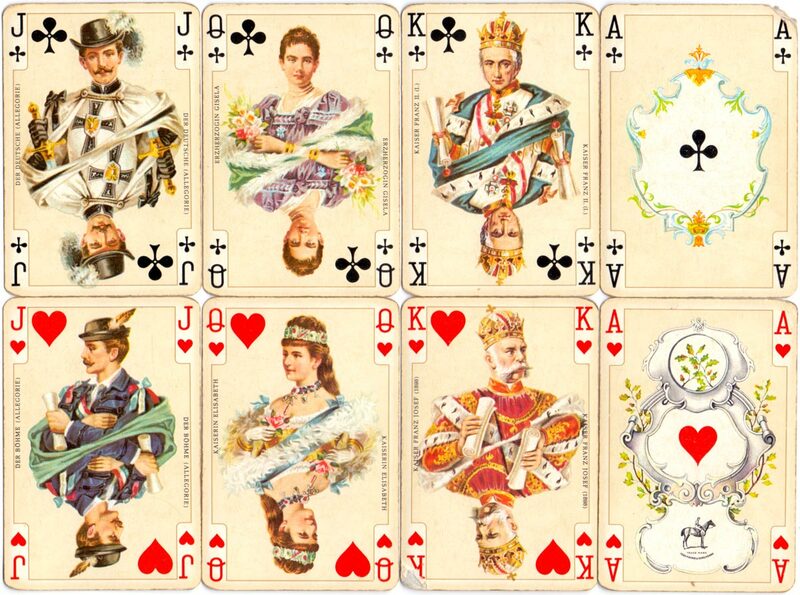 The court cards depict various Austrian Emperors, their wives and the Jacks are allegorical representations of the 4 major nationalities of the Austro-Hungarian Empire. The reverse shows the Imperial & Royal Coat of arms. 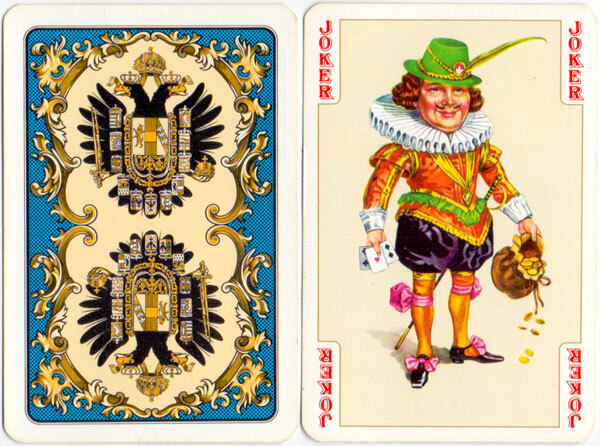 Above: Kaiser Jubiläum Imperial playing cards made in Austria by Ferd Piatnik & Sons, Vienna, 1977 edition. 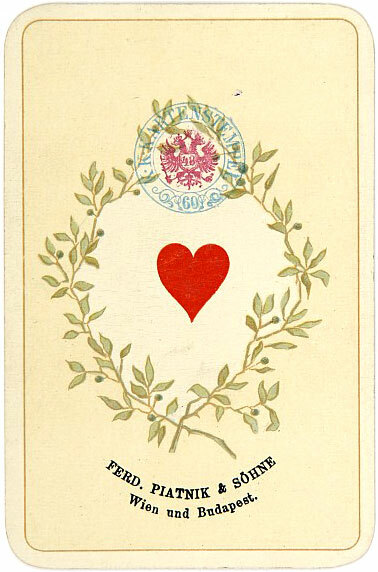 The ace of hearts from the first edition of 1898 is shown below, which has no indices. Above: the reverse shows the Imperial & Royal Coat of arms. The joker is a benign court jester.